These works come from a study of organic natural forms and their relationship to simple mathematical rules. 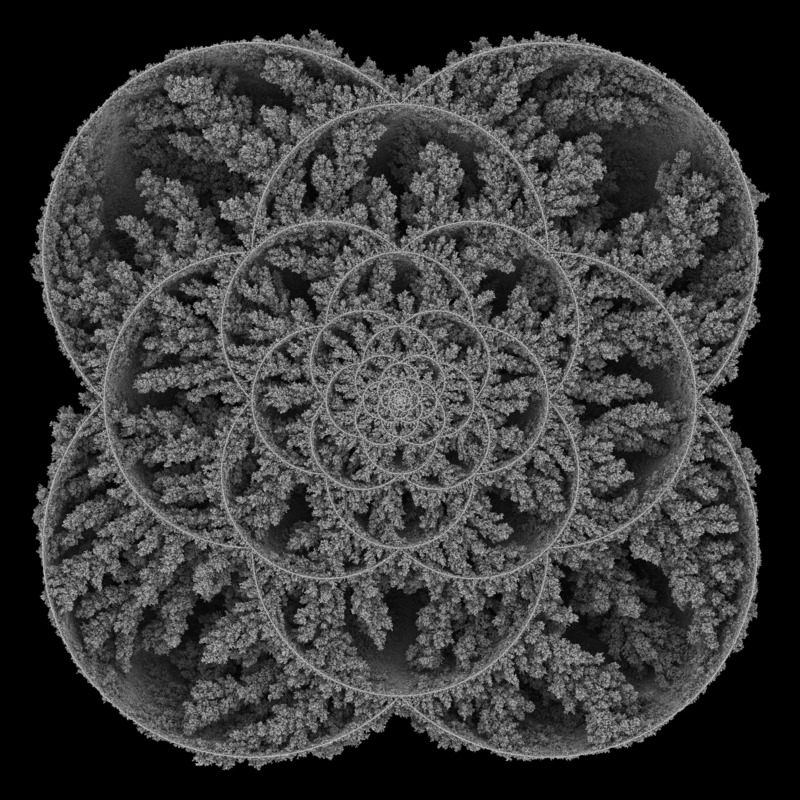 Influenced by the work of D'Arcy Thompson, Alan Turing and Ernst Haeckel, they study how intricate forms of plant and coral like structures can be created by digital simulation of flow and deposition. The sculptural shapes are created by a process of accretion over time. They are gradually grown by simulating the paths of millions of particles randomly flowing in a field of forces. Over time they build on top of an initial simple seed surface to produce structures of immense complexity. "Aggregation: Complexity out of Simplicity"